UPDATE: Read Katie’s post about (fried) Rice saying that she didn’t leak anything. Oh, and she engaged in some unmasking because it was part of her job. That’s uh, quite the change from her PBS interview, where she said she knew nothing about any unmasking. Sen. Tom Cotton (R-AR), a member of the Senate Intelligence Committee, was on the Hugh Hewitt Show this morning to discuss the latest bombshell development that former National Security Adviser Susan Rice requested the unmasking of at least one person involved in Trump's transition team. Sen. Cotton said that unmasking is usually done within the parameters of a law enforcement or intelligence investigation. Another instance would be what’s going on in the halls of Congress trying to figure out who is behind the leaking of classified information, among other things—like the possible ties between the Trump campaign and Russia that has yet to yield any solid evidence. Now, Rice appeared on the PBS NewsHour in March, where she denied having any knowledge about Trump officials being under surveillance—something that Hugh brought up on his show. The radio host asked Cotton if he felt she was lying at that point. Cotton added that it would be unusual in the ordinary course of business for anyone to request an unmasking of an American who was caught through incidental collection on a FISA warrant; Hewitt asked him if he or anyone on the Senate Intelligence Committee had pulled the stunt that Susan Rice reportedly did with these transcripts. Cotton said no. He also said that they wouldn’t see the transcript of intercepts since that’s raw intelligence that’s curated by analysts into a finished product that’s reviewed by him and his colleagues on the committee. He said that the only time that they get into the weeds of this is when there’s an investigation, like this one relating to possible Trump-Russia ties. The Arkansas senator also noted that to request an unmasking would still be a “momentous” decision, given the minimization protocols that are set in place to protect the privacy of Americans. A U.S. intelligence official confirms to us the bombshell news, first reported Monday by Bloomberg, that Ms. Rice requested the name of at least one Trump transition official listed in an intelligence report in the months between Election Day and Donald Trump’s inauguration. Ms. Rice received summaries of U.S. eavesdropping either when foreign officials were discussing the Trump team, or when foreign officials were conversing with a Trump transition member. The surveillance was legally authorized, but the identities of U.S. citizens are typically masked so they cannot be known outside intelligence circles. Ms. Rice asked for and learned the identity of the Trump official, whose name hasn’t been publicly disclosed and our source declined to share. Our source did confirm that Ms. Rice also examined dozens of other intelligence summaries that technically masked Trump official identities but were written in such a way as to make obvious who those officials were. This means that the masking was essentially meaningless. All this is highly unusual—and troubling. Unmasking does occur, but it is typically done by intelligence or law-enforcement officials engaged in antiterror or espionage investigations. 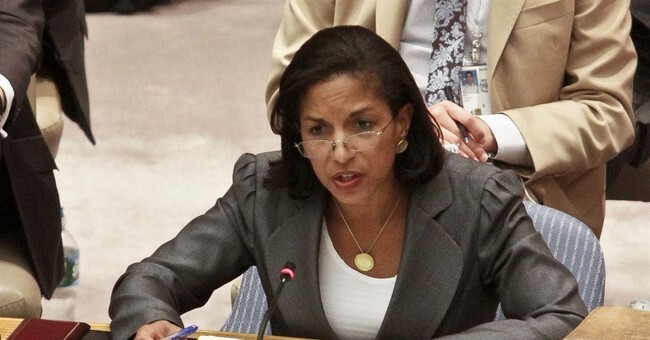 Ms. Rice would have had no obvious need to unmask Trump campaign officials other than political curiosity. The news about Ms. Rice’s unmasking role raises a host of questions for the Senate and House intelligence committees to pursue. What specific surveillance information did Ms. Rice seek and why? Was this information related to President Obama’s decision in January to make it possible for raw intelligence to be widely disbursed throughout the government? Was this surveillance of Trump officials “incidental” collection gathered while listening to a foreigner, or were some Trump officials directly targeted, or “reverse targeted”? Also, if Rice had lied on PBS, it wouldn’t be the first time. She’s no arbiter of the truth. She lied to the entire country when she went onto the Sunday morning talk shows in 2012 and said that the Benghazi attack was a spontaneous reaction to an inflammatory YouTube video, which turned out to be total bunk. It was a terrorist attack. It was pre-planned. And it was executed by affiliates of al-Qaeda, who were supposedly on the run. The Obama White House, which had said on the campaign trail that al-Qaeda was being routed, was in a rather precarious situation of looking ridiculous. To make things more ironic, Rice penned an op-ed where she said that twisting the truth endanger our national security. Yeah, we sure know that from you, Ms. Rice. For more on (fried) Rice, please read Guy’s post, which can be found here.